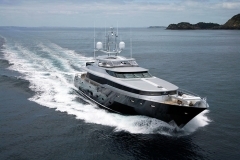 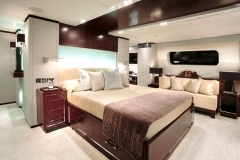 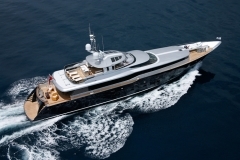 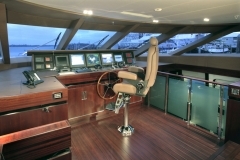 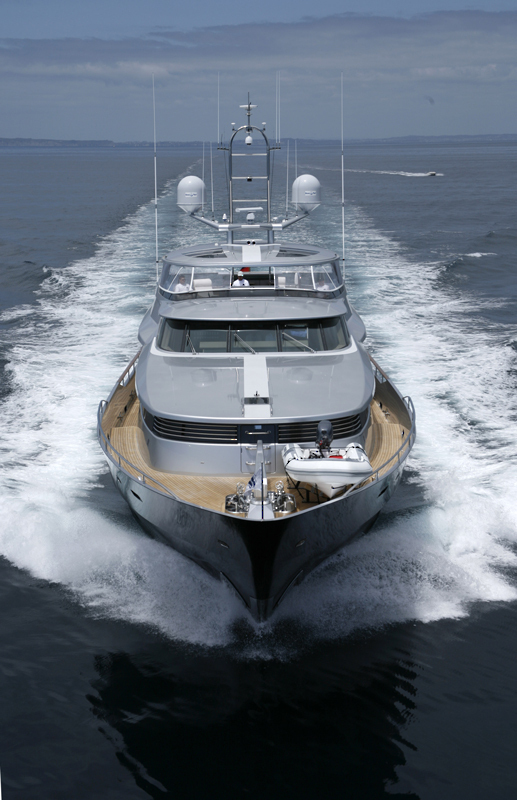 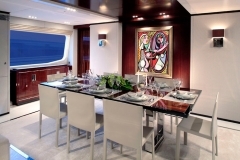 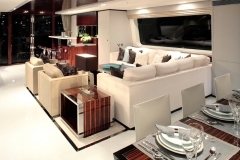 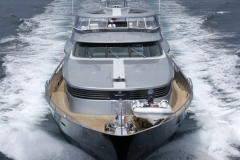 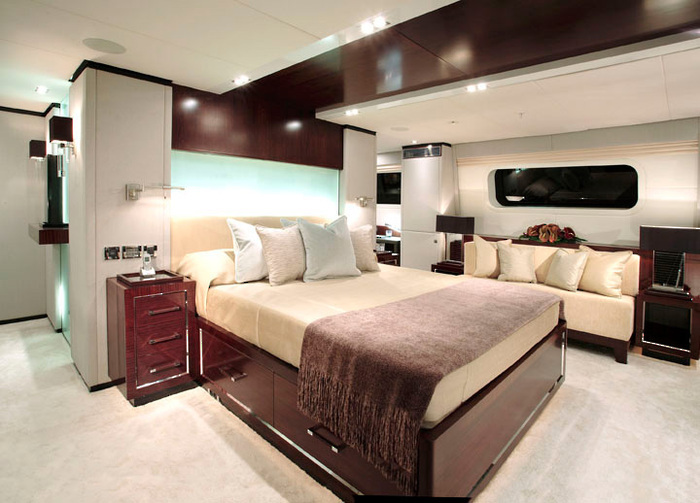 41.00m Motor yacht originally named Como. 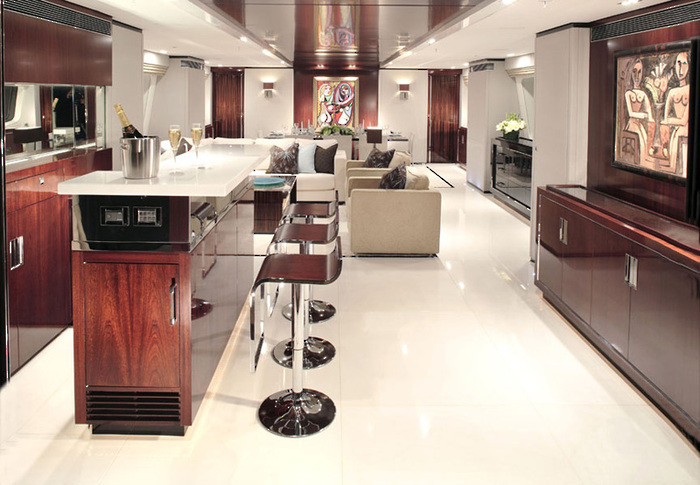 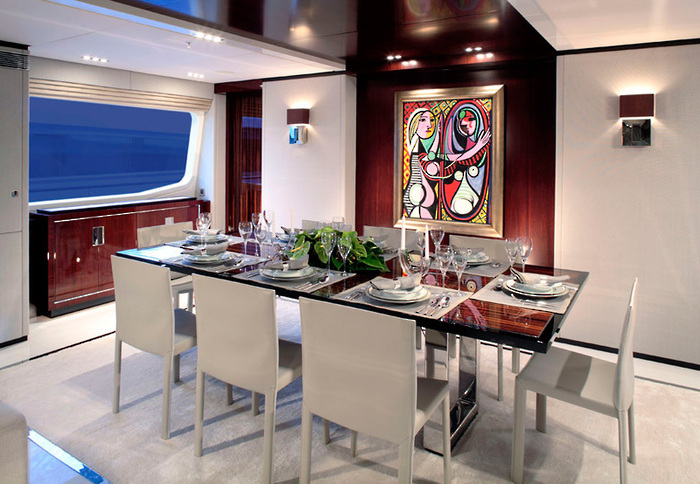 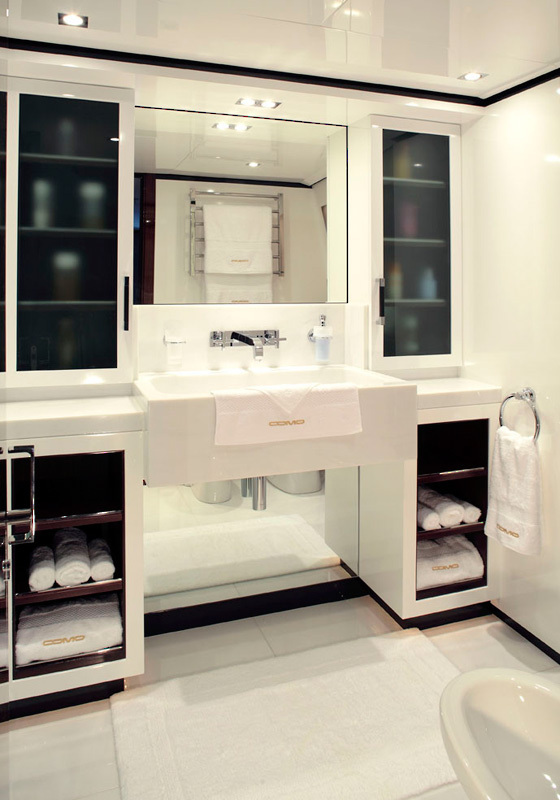 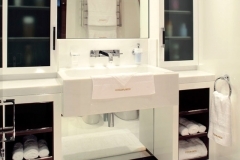 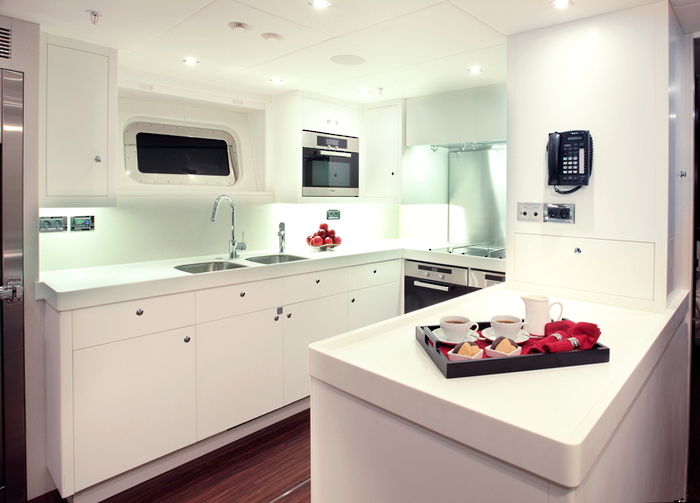 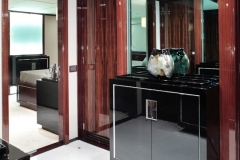 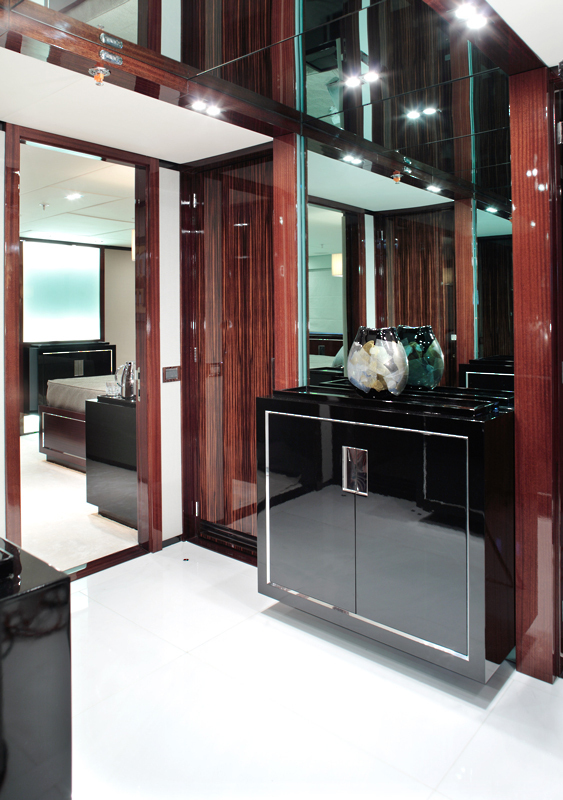 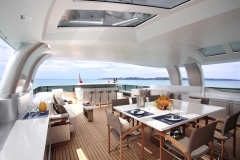 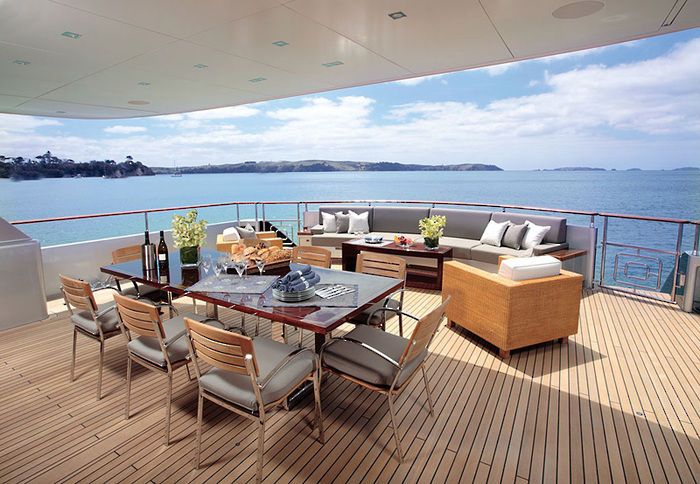 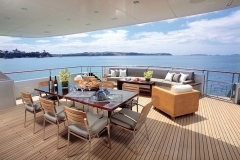 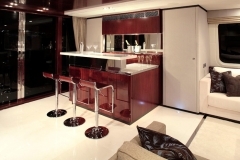 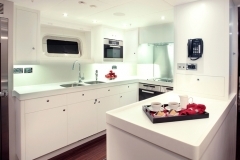 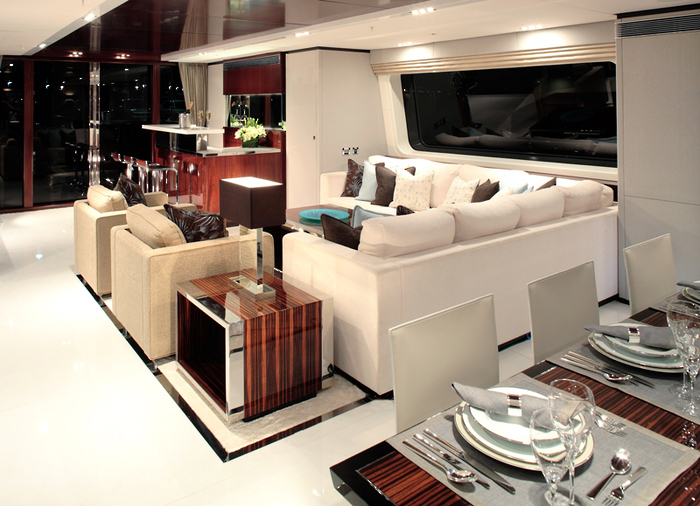 Como’s owner is an extremely knowledgeable yachtsman, who has commissioned a succession of vessels at Alloy Yachts. 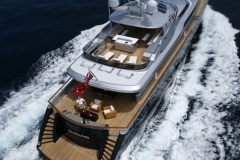 She bears all the hallmarks of a project benefiting from years of experience in the world superyacht fleet. 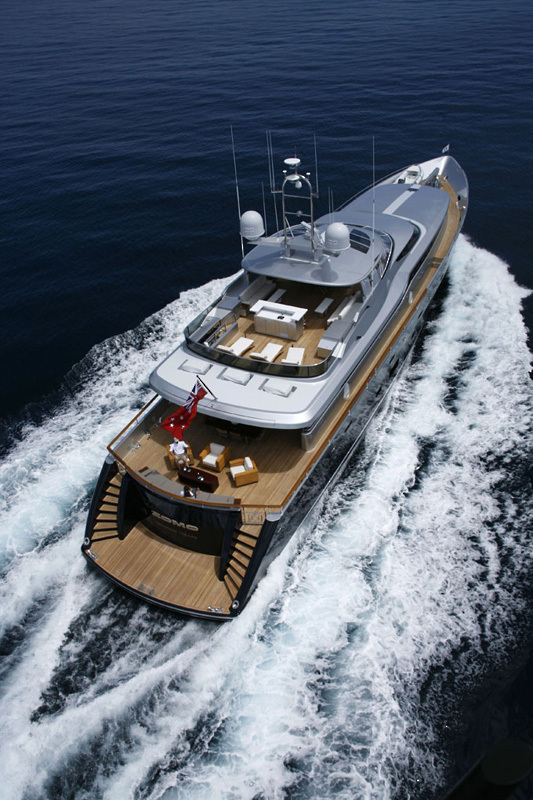 Como lacks for nothing in terms of equipment, luxury or styling, but equally shows her class by avoiding superfluous ‘fashion’ features. 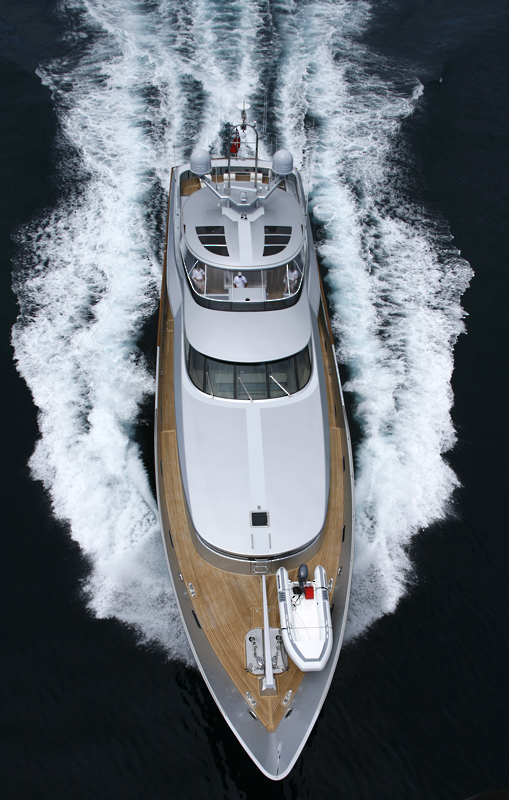 Designed by Dubois Naval Architects, the 41m (134ft) motoryacht is an accomplished, muscular performer at sea and a stylish head-turner in any anchorage. The smooth exterior lines are enhanced by uninterrupted black glass windows sweeping along the main deck and beautifully finished stainless steel louvres wrapping around the aft side coamings and forward superstructure. 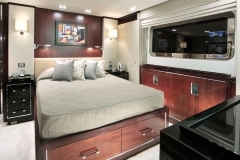 The permanent composite bimini on the flybridge adds a futuristic flourish, while the matching curved stairways from the aft boarding platform up to the main deck provide a dramatic entrance. 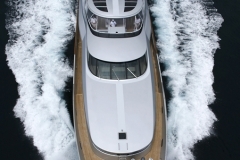 The vessel is powered by twin Caterpillar C30 1550hp diesel engines with a cruise speed of 16 knots, a sprint speed of 17.5 knots and a trans-oceanic range of 4,000 nautical miles.